Adequate water allows the human body to function properly. The right amount of water is necessary to maintain body temperature, to maintain blood pressure, and to allow the body to get rid of waste. Access to clean and sufficient drinking water is so important that it is specifically recognized as a human right by the United Nations, and nursing home residents in Kentucky and throughout the United States deserve to receive proper hydration so that they can avoid the serious and life threatening risks that come with dehydration. Dehydration occurs any time a person has less fluid in the body than she needs to function normally. It is not just a problem for people who are exercising in the hot summer sun; instead, it is a danger for everyone…including older adults. Often, there are signs of a problem before these complications occur. Any of these signs could mean that you are loved one is already experiencing dehydration. Medication side effects. Some medications are diuretics. People taking these medications need to know about this potential side effect and increase their fluid intake to prevent dehydration. Acute illnesses. Vomiting or diarrhea can quickly lead to dehydration. People with these symptoms need to be monitored and hydrated appropriately. Chronic illnesses. 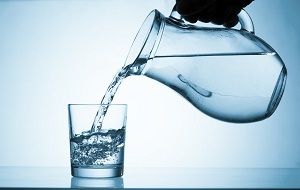 Swallowing disorders, incontinence, and other conditions may make dehydration more likely. Problems with kidney functioning. Kidney function decreases as we age and may change the need for fluid intake. Failure to recognize thirst. Some older adults do not recognize that they are thirsty in a way that can prevent dehydration. Failure to provide fluids in an accessible manner. Nursing home residents may rely on nursing home staff to help them get water or other fluids. When nursing home staff members fail to provide adequate fluids in a manner appropriate for a resident, then dehydration may occur. For elderly residents of nursing homes, dehydration can happen much more quickly than it does for a young healthy adult. Additionally, the adverse effects of dehydration are much more difficult—and sometimes impossible—to reverse once dehydration occurs. Studies that have been conducted on nursing home residents have found that almost half of the residents were chronically dehydrated. This is typically caused by a lack of adequate staff hired by the nursing home to address the needs of its residents. In addition, undertrained staff may not be taught to recognize and appropriately respond to the subtle signs and symptoms of dehydration in the elderly. Many times residents will not be able to speak up and ask for fluids or they may be medicated and not know that they need fluids. Educating residents about the need to stay hydrated and about the symptoms of dehydration. Making sure that clean, fresh water is readily available. Monitoring residents’ fluid intake if they are at high risk of dehydration or if there is a concern about dehydration. Changing residents’ diets to include soups, fruit, and other food that can help a resident stay hydrated. Checking residents for signs of dehydration if there is a concern, if there is a medication change, if there is a gastrointestinal illness, or if there is another reason why the resident may be at risk of dehydration. The steps described above happen routinely at some nursing homes, but not at all nursing homes. Preventing dehydration is possible—and it’s much more effective than treatment for dehydration. Dehydration of a resident should not occur in a Kentucky nursing home. Yet, it is one of the most common forms of neglect that a resident faces. Moreover, it is often goes undetected and hidden from the family and friends of nursing home residents until it is too late. Our firm has handled many cases against Kentucky nursing homes for dehydration abuse and neglect.